It was straight out of a scary movie….in slow motion, Drew tumbles off of a chair face first and my hands reach to him but despite his slow motion descent, my hands just can’t reach him in time and his mouth meets the hardwood floor with a sickening thud followed by the worst sound any mother can hear: painful screaming. It was a scene that played and replayed in my mind over and over again leaving me restless and anxious throughout the night. 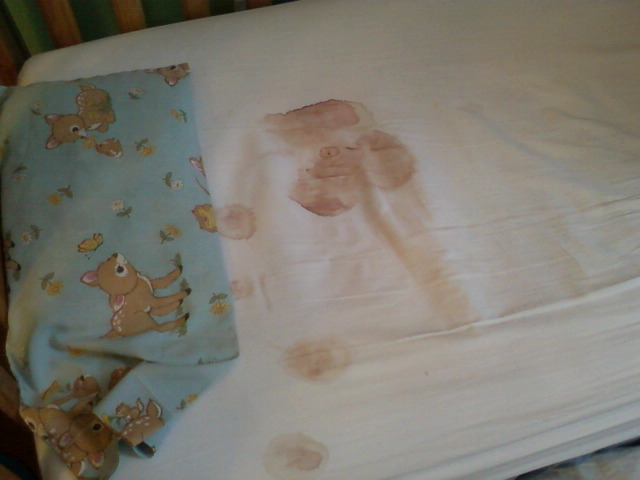 of the blood, I couldn’t tell if they were still properly aligned. I used a damp hand towel to try to soak of some of the blood, but his mouth would be filled with blood the moment I removed the towel to take a look. 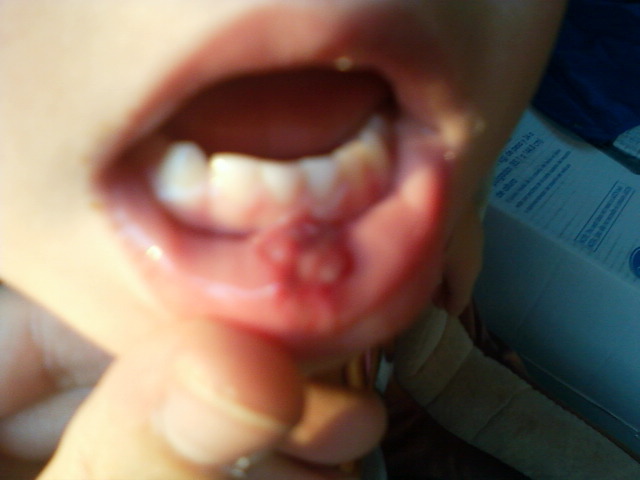 It took me a little bit to realize where the source of the bleeding was: he had bitten his lip. I continued to try to apply pressure to stop the bleeding, but with his Thrombocytapenia I knew it would be longer than normal though his levels are within reasonable-for-having-a-blood-disorder levels. I finally got a look at the opening in his lip and if you can, imagine a fresh piece of hamburger meat from the slaugher house and that’s about what his lip looked like. I must have gone white when I saw how bad his lip was. He must have known how bad it was too because he almost immediately sputtered through sobs, “No doctor! No doctor!” But I didn’t see how we had any choice. 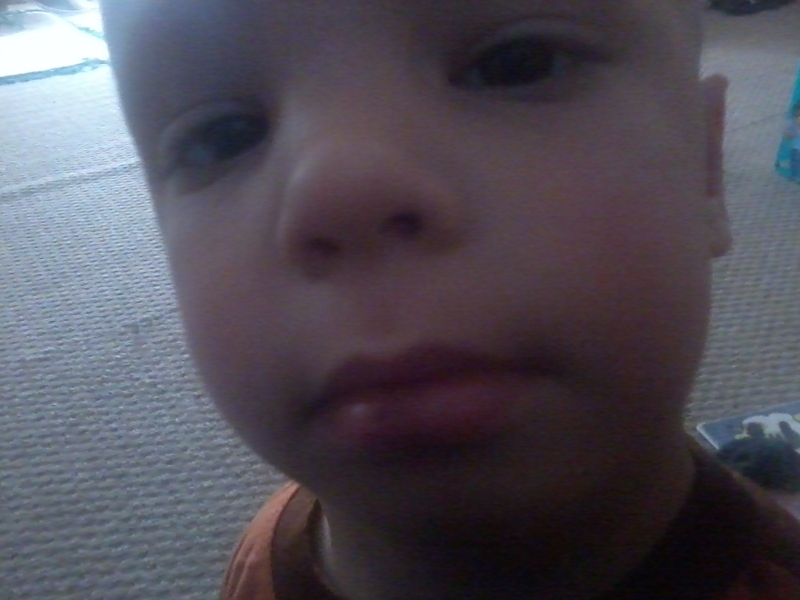 He cried for me to wash his mouth out when I realized that the volume of blood was bothering him. He rinsed his mouth out with water and after about 6-7 minutes, he was still bleeding heavily. I knew I needed to get him to the ER, but I would need help from someone to maintain pressure on the wound while I drove. After a few phone calls, I managed to talk to Yaya who rushed over. Drew was very quiet and still on the way to the ER and I couldn’t help but think about how desperate Drew has been to ride in the front seat of the car and he wasn’t going to enjoy it this time. Drew seemed somewhat traumatized as he was strangely still and unemotional. 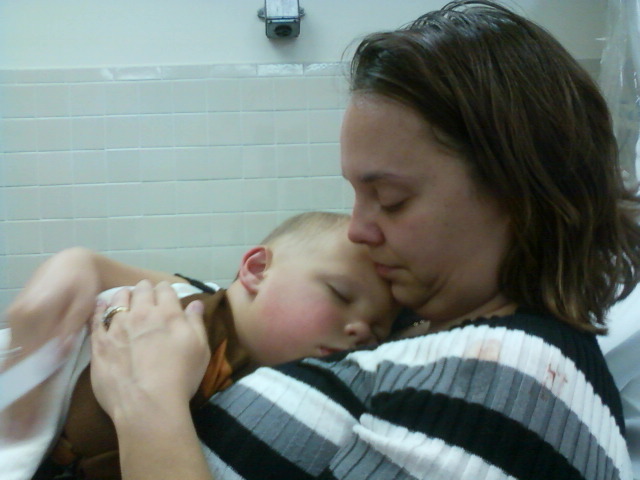 By the time we had been waiting around in the ER for a little bit, his bleeding had stopped and he fell asleep on my shoulder. I kind of felt like I was overreacting at this point since he was not distressed anymore, but any peek at his lip reassured my reluctance that this required medical attention. We were entertained briefly by some man in the ER who was screaming and hollaring hysterically. I feel the same way when I’m at the doctor’s office, but I’m able to withhold my feelings a little better than him evidentially. How am I supposed to disrupt this sweet slumber? We did see Dr. J who suggested that he put a double-stitch as it was a deep laceration. I was devestated. I was so hoping they didn’t have to do anything so Drew’s pain would be all over, but knowing they were going to put a needle and stitch in his lip was going to be very traumatizing for poor little Drew, poor little Drew who was sound asleep, not in pain and relaxed after such a painful event. How, as a mother, am I suppose to disrupt his peace for MORE trauma? It’s just not humane. Through my own tears, I quizzed the doctor about the consequences of not getting stitches and probably with a biased decision, decided to “see how it heals up over the weekend.” He gave us a script for some steroids to help the inflammation and pain and if it’s not closing up by Monday or Tuesday, we’ll have to return for stitches. I anxiously awaited the morning to see how Drew felt. He slept through the nightwhich on any other night is great, but when your child is hurt not hearing a peep out of them all night is nerve-wracking. On the other hand, if he’s asleep, he’s content and not in pain. It’s a conundrum. I turned on his monitor (which has been off for several weeks now as he will come into my room when he’s awake during the night) just to make sure he was still breathing. I couldn’t help but have an unreasonable fear of him bleeding to death in the middle of the night being the terrible mother I am for questioning the expertise and authority of a doctor who feels a stitch is needed. You know what they say about karma.